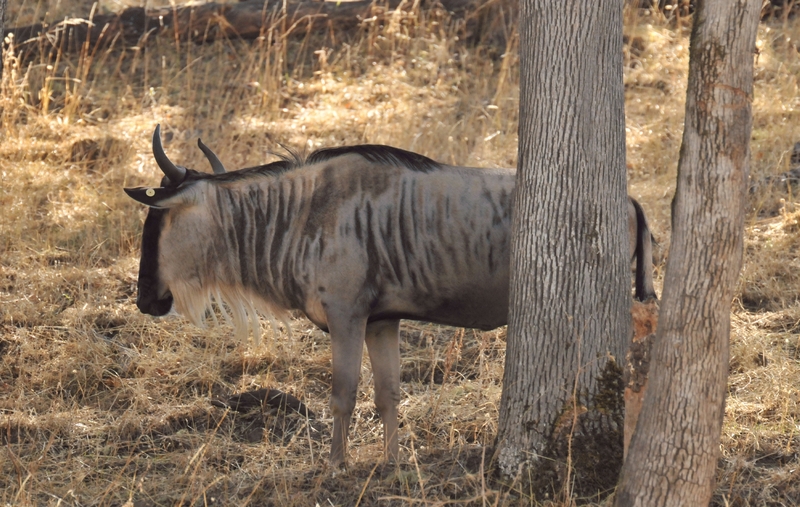 A black wildebeest, or white-tailed gnu (C. gnou) emerged from behind a tree and appeared oblivious to the camera. 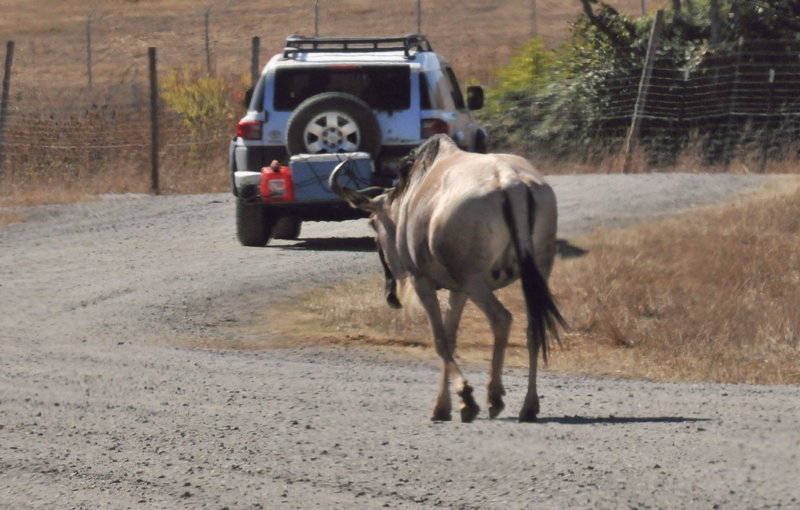 A black wildebeest, or white-tailed gnu (C. gnou) ambled along the gravel road following the passage of a car. 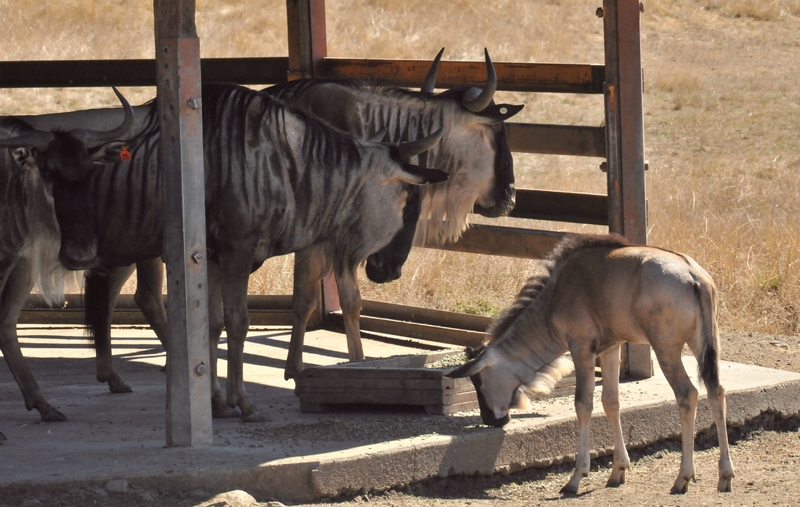 A young black wildebeest, or white-tailed gnu (C. gnou) joined the adults at a feed station. 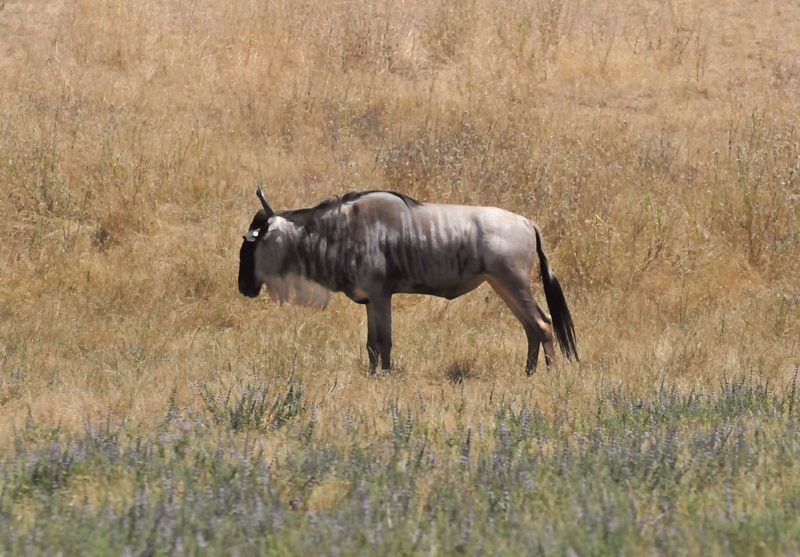 A black wildebeest, or white-tailed gnu (C. gnou) stood in a field of dried grass.